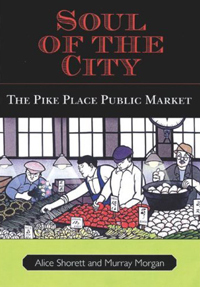 Together with Murray Morgan, a well-known Pacific Northwest journalist and historian, Alice Shorett is the author of The Pike Place Market: People, Politics, and Produce, originally published in 1982 and re-issued in the updated edition Soul of the City (2007). The book chronicles the history of Seattle's favorite institution, from its beginning in 1907 to the present day. It is also the story of the many individuals who have fought over the years to keep the market alive. Archival photographs on every page give readers a good idea of how Seattle has evolved since the market's inception 100 years ago. Altogether, the book is the most detailed and best researched account on the topic thus far. 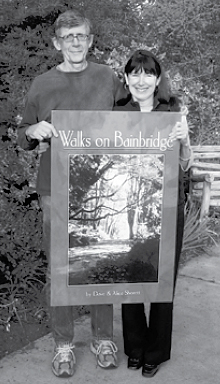 In addition to her research on Pike's Place Market, Alice Shorett is co-author of Walks on Bainbridge (2006), a book of scenic trails and nature hikes on the island.